November is Lung Cancer Awareness Month, and we have a special oncology-focused show prepared for this Sunday’s Weekly Check-Up. This week, Drs. Rodolfo Bordoni, Gina D’Amato, and Ethan Tolbert of Georgia Cancer Specialists will visit the Weekly Check-Up to talk with Georgia Cancer Specialists’ former President and Weekly Check-Up host Dr. Bruce Feinberg about lung cancer, sarcomas, and colorectal cancer. After graduating from the National University of Rosario in Argentina, Dr. Bordoni completed his medical residency and fellowship at the British Hospital and Medical Center and Emory University School of Medicine, respectively. 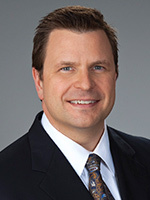 Dr. Bordoni is board certified in medical oncology, hematology, and internal medicine. He has special interests in lung cancer, head and neck cancer, research and professional education. 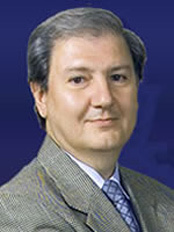 To learn more about Dr. Rodolfo Bordoni, visit GACancer.com. 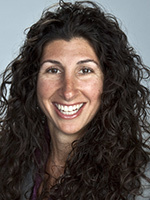 Dr. Gina D’Amato graduated from the University of Miami School of Medicine, and completed her residency and fellowship at Jackson Memorial Hospital and H. Lee Moffitt Cancer Center, respectively. Dr. D’Amato is well-respected and internationally known in sarcoma. She speaks around the country on emerging treatment for sarcomas and has been involved in several clinical research trials. She received the Leiomyosarcoma Direct Research Excellence in Care Award and was the top fundraiser for Leukemia Lymphoma Society Team in Training in Summer 2012. She has special interests in bone and soft tissue sarcomas, GIST and fibromatosis, desmoid neuroendocrine tumors, carcinoids, and rare malignancies. To learn more about Dr. Gina D’Amato, visit GACancer.com. After graduating from University of Tennessee in Memphis, Dr. Ethan Tolbert completed both his residency and fellowship at Emory University in Atlanta. Dr. Tolbert received his Master of Science in Clinical Research from Emory University College of Arts and Sciences with a focus in prevention of colorectal cancer. He has special interests in solid tumors, gastrointestinal and hematological malignancies, multiple myeloma, colorectal cancer, cancer prevention, and palliative care. To learn more about Dr. Ethan Tolbert, visit GACancer.com.